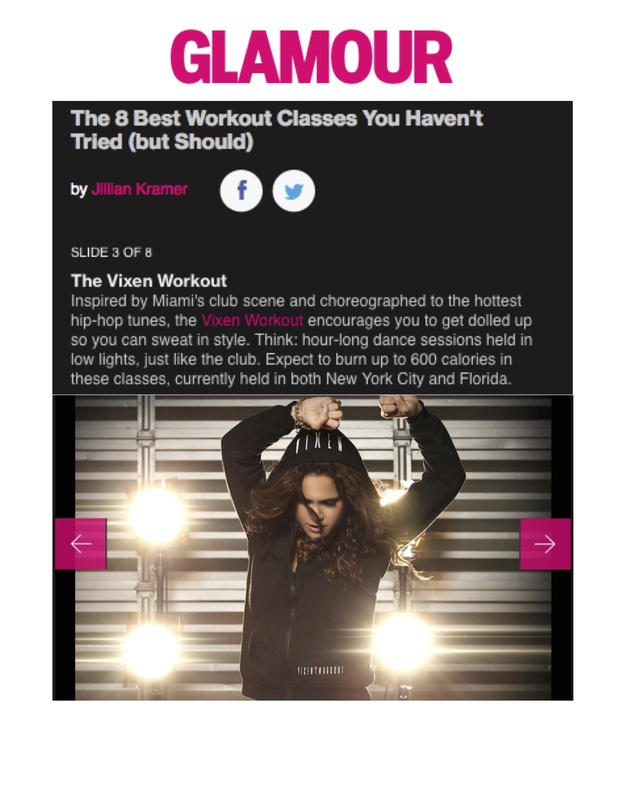 Janet Jones, a professional dancer with classical ballet training and former Miami Heat dancer, created The Vixen Workout, a female-only, hip-hop, cardio dance-fitness class, in order to provide busy women one-hour to themselves to let loose, get healthy and have fun. 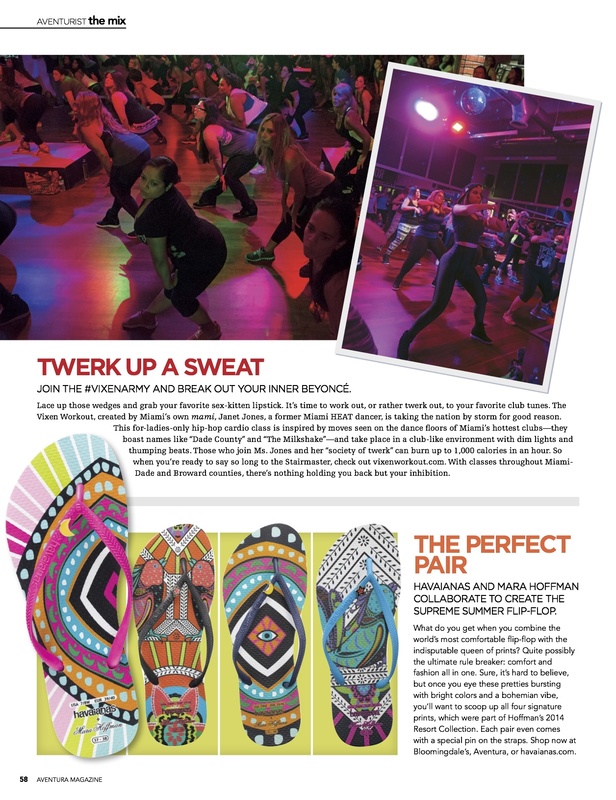 The intense, 60-minute cardio, hip-hop dance sweat session takes its cues from a club atmosphere, while providing a supportive, confidence-boosting environment for women to shake it. 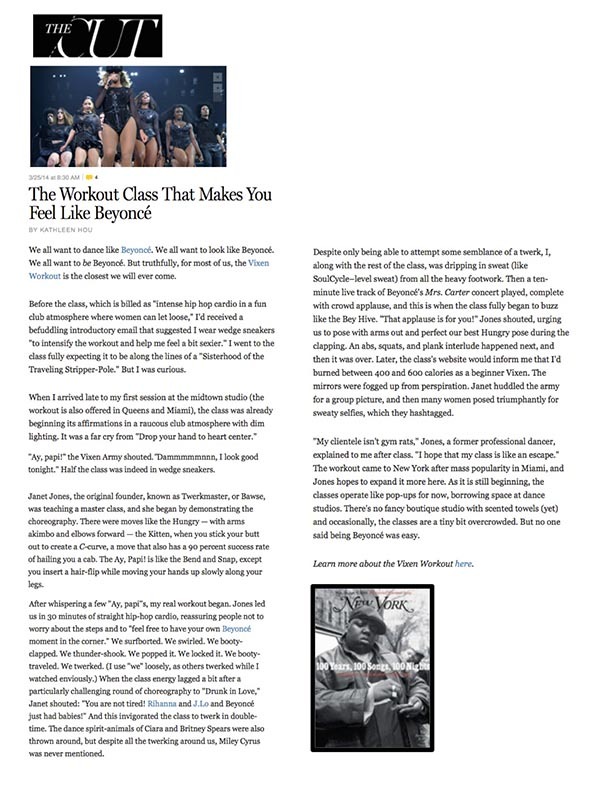 Robin was originally hired to promote a 5-city Vixen Workout college tour throughout the state of Florida. Creating instant results (she was hired just one-week out from launch), she has provided PR services ever since and is the driving force behind the phenomenal exposure this brand continues to receive. Introduce editors, bloggers, and women everywhere to Vixen Workout’s positive, high-energy, night-club inspired workout experience through press and media classes, community outreach, align the Vixen Workout with like-minded brands, secure deals for Janet Jones that create brand awareness via global reach of partnerships, as well as ongoing media outreach to top fitness, lifestyle and fashion publications. Nothing less than a full on media explosion, spurred by a half-page feature in The New York Times Thursday Styles section. 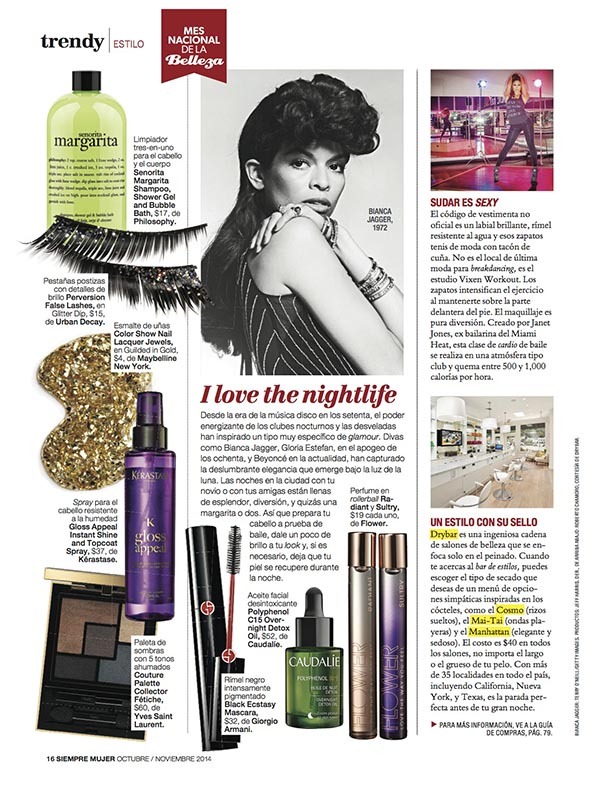 Coverage in sought-after magazines including Latina, Allure and Glamour attest that editors absolutely love Janet’s “Girl’s night out in a club-like workout environment” concept. Public relations helped to generate more than just buzz, but a true movement of motivated women, known as the #VIXENARMY, who spread the word through social media. Best yet, the workout that got its start in Miami has expanded rapidly taking off across the country and the business is thriving. Robin Diamond is a girl’s best friend. She helped take the Vixen Workout from a rump-shaking grassroots movement in Miami to a brand that’s being talked about nationally. She’s the ultimate package: ultra-professional, intelligent, and above all kind-hearted. She’s someone you want to work with all day and still hang out with at night; she’s the “baddest” in the best way possible.